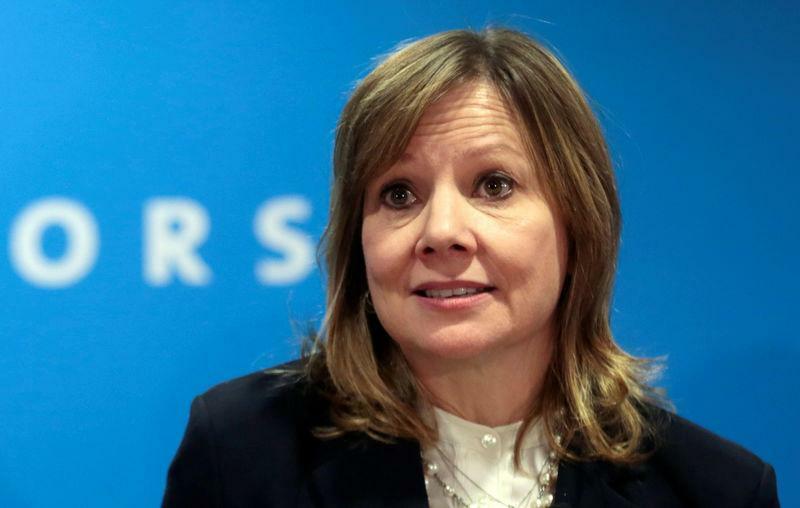 DETROIT (Reuters) - General Motors Co (GM.N) Chief Executive Mary Barra has transformed the No. 1 U.S. automaker in her almost five years in charge, but that is still not enough to satisfy investors. The Detroit carmaker's stock is down 22 percent since Barra took over in January 2014. After hitting an all-time high of $46.48 on Oct. 24, 2017, the shares have declined 33 percent. In the same period, the Standard & Poor's 500 index (.SPX) has climbed 7.8 percent. "I've been expecting it," said John Levin, chairman of Levin Capital Strategies. "It just seems a tempting morsel to somebody." Levin's firm owns more than seven million GM shares. GM declined to comment for this story, but the company's executives privately express frustration with the market's reluctance to see it as anything more than a manufacturer tied mainly to auto market sales cycles. GM's profitable North American truck and SUV business and its money-making China operations are valued at just $14 billion, excluding the value of GM's stake in its $14.6 billion Cruise automated vehicle business and its cash reserves from its $44 billion market capitalization. The recent slump in the Chinese market, GM's largest, and plateauing U.S. demand are ratcheting up the pressure. Einhorn, whose firm still owned more than 21 million shares at the end of June, declined to comment about GM's stock price. Other investors said there were no clear alternatives to Barra's approach. "I'm clearly a frustrated investor," said Michael Razewski, a partner with Douglas C. Lane & Associates, which owned 2.57 million GM shares at the end of September. "GM is a name that I am still particularly bullish about despite years of disappointment." Some investors said they would welcome a spinoff or partial float of Cruise, or the creation of a tracking stock, as a way of calling attention to the potential value of GM's autonomous vehicle technology. "In the near term, really the only way to drive this stock higher is via Cruise," Razewski said.Some investors have given up waiting. Barometer Capital Management sold its 420,000 GM shares in the first quarter of 2017. Barometer portfolio manager Jim Schetakis said GM should exit the money-losing sedan business like rivals Ford Motor Co (F.N) and Fiat Chrysler Automobiles (FCHA.MI) have done and possibly split off its China operations. Barra has had enough time as CEO, he said. "The board has to walk out to the mound and take the ball away," he said.